Better BiochemistryThe American Society for Biochemistry and Molecular Biology (ASBMB) has decided that the best way to teach undergraduate biochemistry is to concentrate on fundamental principles rather than facts and details. This is an admirable goal—one that I strongly support. It's one thing to advocate teaching core concepts but it's quite another to correctly identify what needs to be taught. I wasn't very happy about the way Tansey et al (2013) described the core concept of evolution [ASBMB Core Concepts in Biochemistry and Molecular Biology: Evolution]. I wasn't much happier with "matter and energy transformation" [ASBMB Core Concepts in Biochemistry and Molecular Biology: Matter and Energy Transformation]. Let's look at the third foundational concept, Homeostasis. "Homeostasis" isn't a word that I used anywhere in my Principles of Biochemistry textbook so I checked some other textbooks. It's mentioned once in Lehninger where it refers to the maintenance of relatively constant level of glucose in our blood. It's discussed in Stryer in the context of "caloric homeostasis" as described on page 791. At the biochemical level, how does an organism know when to eat and when to refrain from eating? The ability to maintain adequate but not excessive energy stores is called caloric homeostasis or energy homeostasis. The same idea is mentioned in Garrett & Grisham where homeostasis refers exclusively to the concentration of fuels in human blood. None of these books treat homeostasis, per se, as a fundamental core concept of biochemistry. In Voet & Voet there's a section on metabolic regulation that describes several reasons why organisms need to maintain steady-state concentrations of metabolites (= homeostasis). In an open system, such as metabolism, the steady state is the state of maximum thermodynamic efficiency. Many intermediates participate in more than one pathway, so that changing their concentrations may disturb a delicate balance. The rate at which a pathway can respond to a control signal slows if large changes in intermediate concentrations are involved. Large changes in intermediate concetrations may have deleterious effects on cellular osmotic properties. Here's what the ASBMB committee says about homeostasis. Biological systems operate under a relatively narrow and controlled set of conditions; as such, there is a need to maintain rigorous control over the concentrations of metabolites and small molecules in the cell. The cell is the basic physical unit of all organisms in that it creates a homeostatically controlled environment for rigorously maintaining the balance of energetically favorable and unfavorable chemical and physical processes within the confines of the cell as required for sustaining the life of the cell. I'm not sure I agree with the statement that "biological systems operate under a relatively narrow and controlled set of conditions." Think about all the perennial plants in Ontario, for example. The conditions under which they operate range from hot sunny days in summer to freezing cold overcast days in the middle of winter. Similarly, the range of conditions under which many bacterial species operate can vary enormously. Many organisms can survive in an oxygen environment or in the complete absence of oxygen. Many species have cells that carry out highly specialized functions with very different metabolic pathways than other cells. Cyanobacteria have heterocysts, reptiles have red blood cells, and mushrooms have cells devoted to making spores. I'm not certain that "homeostasis" is the best word to describe the way most species operate. It might be better to talk about "regulation." Homeostasis is ultimately dictated by two laws of the thermodynamics: 1) Exergonic processes in the homeostatic environment of the cell must lead to a net loss in Gibbs free energy (ΔG < 0). Any favorable reaction must expend the capacity to do chemical work, as quantified by the Gibbs free energy. 2) Any exergonic reaction or process must ultimately lead to an increase in entropy or net “disorder” of the universe (ΔS > 0). I believe that most metabolic reactions inside the cell are near-equilbrium reactions—a fundamental concept in my book. What this means is that ΔG is zero for a large number of reactions. They are neither exergonic not endergonic. The rate of the reaction is the same in both directions so in one direction there will likely be a positive change in entropy and in the other direction it will be negative. If what I believe is correct, then the description of a fundamental concept by Tansey et al. is irrelevant or misleading. Biological homeostasis is largely maintained by systems of irreversible nonequilibrium steady-state reactions, although rapid equilibrium reactions (such as occur with cell buffers, including pH buffers and oxygen buffers like Hb and Mb) contribute to homeostasis. While all biochemical reactions are “reversible” (some more so than others on a temporal scale) and tend toward equilibrium, the overall chemical system in a cell is maintained in a state with nonequilibrium steady state concentrations of reactants and products. It's true that there are some enzymatic reactions that are regulated so that they are never allowed to reach equilibrium. These are the metabolically irreversible reactions. A good example is ATP hydrolysis. If ATP hydrolysis reactions were allowed to reach equilibrium then you could not get energy from the hydrolysis of ATP since ΔG = 0. This is a fundamental concept but I'm not sure that "homeostasis" is the best word to describe it. Similarly, the flux through the reactions of glycolysis and gluconeogenesis is controlled by regulating the activities of certain key enzymes. Sometimes the cells make glucose and sometimes they degrade it. The reactants and products of many of the reactions are at steady-state equilibrium concentrations by virtue of the fact that the activities of the enzymes are not regulated. However, the concentrations of reactants and products of metabolically irreversible reactions can change considerably as the cells switch from gluconeogenesis to glycolysis. Or from production of pyruvate to production of ethanol or lactate. This is regulation and it's an important concept. Homeostasis is not. Students should be able to relate the laws of thermodynamics to homeostasis and explain how the cell or organism maintains homeostasis (a system seemingly in equilibrium) using nonequilibrium mechanisms. It's important that students understand thermodynamics and it's important that they understand how metabolic reactions are regulated so that cells of all types can exist under many different environmental conditions where the supply of different nutrients can change dramatically. The tendency of chemical reactions and processes to occur under homeostatic conditions in the cell is understood and quantifiable with the equation for the change in Gibbs free energy, ΔG, as based on the steady concentrations, not the equilibrium concentrations, of reactants and products. Because ΔG is a measure of amount of chemical work a process can yield, ΔG < 0 for any process that would tend to produce products in the presence of a suitable catalyst. Biological systems have evolved to harness chemical work from hundreds of reactions that occur in the cell in any given time period. I don't agree with this fundamental concept. It's true that "ΔG < 0 for any process that would tend to produce products in the presence of a suitable catalyst" as long as you think of a "process" as a complete pathway. On the other hand, many of the individual reactions are at equilibrium so cells don't need to expend effort to maintain the standard concentrations. Cells are perfectly capable of the net synthesis of glucose, for example, even if the Gibbs free energy change of the aldolase reaction is zero. That's a fundamental concept of biochemistry that every student needs to understand. Having said that, it's true that many of the key regulated enzymes catalyze reactions that are at concentrations far from equilibrium. Changes in those concentrations determine whether the enzyme is active or not. If those concentrations were maintained at a constant steady-state (homeostasis) then the rate of the reactions would never change. Understanding regulation is the key concept, not homeostasis. Reactions critical to living systems are organized into pathways by which key cellular metabolites are interconverted. Organization into pathways facilitates regulation required for the maintenance of homeostasis. Pathways or parts of pathways are often organized structurally as well as chemically, with pathway enzymes linked or sequestered in some manner. Pathways are sometimes separated from each other by structural compartments within cells. I don't have much of a problem with this paragraph except that I think "homeostasis" is not the right word. Homeostasis within a cell or organism is regulated in many ways, for example by alterations in gene expression, covalent modifications of proteins catalyzing key steps in a pathway, allosteric regulators, the action of regulatory proteins and RNA molecules, and activation or inactivation of enzymatic catalysts by proteolytic or nucleolytic cleavage. Students should be able to summarize the different levels of control (including reaction compartmentalization, gene expression, covalent modification of key enzymes, allosteric regulation of key enzymes, substrate availability, and proteolytic cleavage), and relate these different levels of control to homeostasis. Control mechanisms are important. They allow cells to operate under a wide variety of different conditions with very different concentrations of some reactants and products. The concentration of lactate, for example, is very different in resting muscle cells than in muscle cells that are starved for oxygen. I really don't see what you gain by referring to this as "homeostasis." I see what you lose. Homeostasis in the cell is maintained by regulation, and by the more or less steady state exchange of materials and energy with its surroundings (e.g. taking in nutrients, expelling metabolic byproducts, releasing heat into the surroundings). All of these processes occur if the appropriate catalyst is present and if the net entropy of the universe increases as a result of the process (ΔS > 0), and there is an accompanying net loss of free energy (ΔG < 0). Homeostasis in an organism or colony of single celled organisms is regulated by secreted proteins and small molecules, often functioning as signals. Each chemical signal in an organism is transiently bound by specific macromolecular receptors (usually proteins), leading to an alteration in conformation, interactions with other components of one or more signaling pathways, and changes in downstream metabolic processes. Students should be able to describe homeostasis at the level of the cell, organism, or system of organisms and hypothesize how the system would react to deviations from homeostasis. This final paragraph emphasizes that the fundamental concept is regulation. Sometimes this results in near steady-state concentrations of metabolites and sometimes it causes significant changes in those concentrations. AP Biology has just revised its curriculum as well. It centres around "Four Big Ideas"
Big Idea 1: Evolution - The process of evolution drives the diversity and unity of life. Big Idea 2: Cellular Processes: Energy and Communication - Biological systems utilize free energy and molecular building blocks to grow, to reproduce, and to maintain dynamic homeostasis. Big Idea 3: Genetics and Information Transfer - Living systems store, retrieve, transmit, and respond to information essential to life processes. Big Idea 4: Interactions - Biological systems interact, and these systems and their interactions possess complex properties. The prescience of AP Biology is uncanny and hopefully will trickle down to the regular high school curricula. Consensus has it that the tail will again wag the dog, and that all entry-level university biology courses will eventually focus more on Biochemistry than in past and that this will eventually trickle down to high school. Suits me just fine - I have always taken an evolutionary/biochemical apporach to Biology. Most students quickly discover that if they do not know the answer to the question, somehow writing anything about evolution or enzymes will probably always garner part marks of some sort. The problem is that too many university courses teach to the MCAT—especially in the USA. This is very bad because the questions on the MCAT are examples of very bad out-of-date biochemistry and because the overwhelming emphasis is on biochemistry as a tool to understanding human disease. That's not the way science should be taught. Isn't it sad that that the head of Biochemistry at Dalhousie even cares about the fact that the Association of American Medical Colleges changed the MCAT? That should not be the least bit relevant to how one goes about teaching science to university undergraduates. It should be the medical schools that accommodate good biochemistry teaching and not the other way around. "Care?" That may not be accurate in the sense I understand you. I think that even deans and department heads get their marching orders from above... that as well as a real need to respond to the particular needs of their clientel (almost everybody in first year university Biology is in Pre-Med I understand). If responding to the particular needs of their clientel means Biochemistry will be given greater prominence in entry-level Biology instruction - I call that a fortuitous "good thing" and a correct and proper incarnation of "caring"! Your point about "very bad out-of-date biochemistry " is still well taken! But that is compeltely another issue all together. I think that even deans and department heads get their marching orders from above. The Chair of the Department of Biochemistry and Molecular Biology at Dalhousie has complete control over what's taught in biochemistry courses. It's unthinkable that he (Stephen Bearne) would get "marching orders" from above. In fact, it's likely that he has little control over what his faculty members teach in their individual courses. I don't know if professors at Dalhousie "respond to the needs of their clientel" by teaching "pre-med" biochemistry. I sure hope not. They should be teaching the very best science they can manage regardless of what aspirations their students have about getting into medical school and what they might think are their "needs." It's not our job to coach our students to write a stupid biochemistry exam prepared by physicians at American medical schools who don't know the first thing about biochemistry. I think we are communicating at cross-purposes. 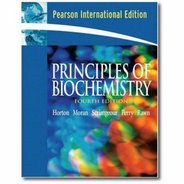 You just posted this thread suggesting The American Society for Biochemistry and Molecular Biology (ASBMB) has decided that the best way to teach undergraduate biochemistry is to concentrate on fundamental principles rather than facts and details. So far, you and I are in complete agreement. I responded with the observation that this apparent sea-change in education is being mirrored in the new AP Biology curriculum. You see this is getting pretty esoteric all of a sudden. The mention of the new MCAT format was made briefly in passing and did not represent the focus of the talk. I never intended to suggest that the new MCAT was ever some focus now “how one goes about teaching science to university undergraduates”. OK – I did say that “the tail will again wag the dog, and that all entry-level university biology courses will eventually focus more on Biochemistry than in past and that this will eventually trickle down to high school.” I also made a glib remark about almost everybody in first year Biology being in Pre-Med. That was again me being too clever by far… yet therein still lies some kernel of truth, nu? Again to reboot, the talk I mentioned was focused on how to deliver Biochemistry to Students of Medicine, Pharmacy and Dentistry, so the MCAT observation was in fact relevant. My bad – I did not make this all clear in my quick sound bite. There still remains the very important issue how teaching of Biochemistry in undergraduate levels is to be coordinated with the teaching of Biochemistry in Medicine, Pharmacy and Dentistry… again my bad, I should have made this clearer. I think everyone is in agreement that out-of-date biochemistry over-emphasizing biochemistry merely “as a tool to understanding human disease” is the wrong way to go. To continue in my original vein when I first brought up the new AP Biology curriculum (which should also trickle down to general high school curricula); I am fascinated that a universal and ever increasing evolutionary emphasis which is explaining the how and why of biochemistry and is gaining everywhere greater emphasis - we are in fact witnessing a general sea-change in universities everywhere (the raison d'être for the conference and the seminar) – which was the point I attempted but failed to make. As a result, I predict that naïver adherents to ID will find it increasingly difficult to rise to the ranks to arrive in Medicine, Pharmacy and Dentistry schools. I think we both agree that this is a good thing. I apologize for inadvertently misleading you – mea culpa. I think everyone present whole-heartedly agrees with your criticisms regarding MCAT’s failings regarding a proper appreciation of Biochemistry. I think we all agree that the new goals as staed by AP Biology and by ASBMB represent moves in the correct direction… ditto recent innovations by Dalhousie university. I have been in several universities. I have observed university departments that seemed to run along the idealistic lines of how a parliamentary system should run & and I have witnessed university Department heads run their departments exactly like Oliver Cromwell would. ... but hey, we digress. My naive misconceptions are not germane. Evolution is first or at all on the list?? Its only conclusions about things coming to be from evolution. There is no biochemical evidence for evolution or needed at all to master present knowledge about biochemistry.